"She was especially helpful in our process of buying a home, and she made the process easier. She answered all of our questions in a very timely manner. We are currently in the process of selling our home, and she has been extremely good (above and beyond, in my opinion) about helping us figure what to do to make our home sell faster while getting the most for it. She has connected us with contractors and stagers. While I hope we don't move any time soon, we would use her again!" "Heather was absolutely awesome thoughout the home buying process. As a first time buyer, I was not sure how the process of finding a home would go. Heather walked me through it step by step. She took the time to understand what I was looking for and was very sensitve to my price range. She also knew the right profesionals to call regading the home inspection and legal representation. What I was dreading (the whole precess), she made so easy. Love my new condo and love working with Heather." "Heather was great to work with. She made the whole process of selling my condo really painless and stress free, and I got the price I was looking for." "Heather was amazing. From the first meeting she was open, informative and made the process really clea. She was there for us every step of the way, so quick with arranging viewings and prompt on responses. We would not have had such an easy process of it weren't for Heather, she's absolutely amazing." "Heather was wonderful! As a first time homebuyer, I could not have asked for a better broker to walk me through the process." "Highest possible recommendation! Great advice and preparations led to a smooth sale and a home search where our needs were met every step of the way." "Heather is a 5 star agent! We found her through a personal reference but picked her over other agents we were considering because of the testimonials stating she provided excellent communication. Her communication was phenomenal, even over the holidays. There was always great follow up and we were always kept current on all activities including traffic and showings. This was really important to us. We also bonded over a few other things we had in common. Heather brought in a good amount of traffic and we ended up receiving above our asking price. For us, the 2 most important things for our sales transaction was getting the highest sales price and excellent communication, and Heather nailed them both. I only wish I had more property for her to sell :-)"
""Heather is a 5 star agent! We found her through a personal reference but picked her over other agents we were considering because of the testimonials stating she provided excellent communication. Her communication was phenomenal, even over the holidays. There was always great follow up and we were always kept current on all activities including traffic and showings. This was really important to us. We also bonded over a few other things we had in common. Heather brought in a good amount of traffic and we ended up receiving above our asking price. For us, the 2 most important things for our sales transaction was getting the highest sales price and excellent communication, and Heather nailed them both. I only wish I had more property for her to sell :-)" Justin (River West)"
"Highest possible recommendation! Great advice and preparations led to a smooth sale and a home search where our needs were met every step of the way. We thoroughly enjoyed working with Heather and her team." "Heather is the best. She represented us as the sellers agent when we sold our condo. She is always at the top of her game. She communicates with her clients, gives updates frequently and is always available for questions. She is a genuinely nice person and cares about giving top notch service. I would recommend her to any of my friends or family looking to buy or sell a home." "Our broker was wonderful. She was warm and professional and had great knowledge of the process and a great common sense way of looking at things. She protected us in the process since we were complete newbies. She was patient and stayed with us throughout the whole 16 month time we were looking. She was never too pushy or too distant. I would (and already have) recommend her to any and all new buyers." "Heather has been my realtor since I moved to Chicago 10 years ago, and she has helped me with three moves, the most recent of which was my first-ever home purchase. Heather has a keen attention to detail and maintains steady and clear communication throughout the entire purchase process. There were issues that arose during my purchase, all of which were attributable to the seller/seller's realtor; Heather helped me navigate these challenges and was an effective liaison between me and the seller. Heather is always available by phone, and she returns messages very quickly. She's an invaluable asset during an inspection, as she picks up on issues that even professional inspectors miss. I would highly recommend Heather as a Chicagoland realtor." Understanding what the client requires and is really looking for is so important and Heather really knows how to narrow down your search in finding the perfect home! She will do everything to help and make the process as easy as possible and has fantastic advice and contacts. Thank you so much Heather!!" "Heather is phenomenal. She is patient, kind, and explains things clearly. My husband and I knew we were in good hands with her when we bought our first condo. I highly recommend her!" "Heather was definitely 5 stars in local knowledge, process expertise, and responsiveness! She helped us purchase a new home and stuck with it despite it being a seller's market causing various challenges. Would recommend her to a friend." "Heather was a great asset in the buying and selling of our homes a year ago. She was organized, helpful, knowledgeable, and provided useful guidance at each step of the process. 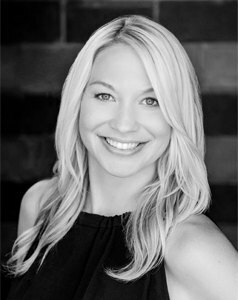 I'd highly recommend others to work with Heather and benefit from her real estate expertise!" "Heather is a five-star realitor - accessible, knowledgable and hard working. One thing I will never forget about Heather. She showed my place one day when I had left it a little shabby. I didn't expect her to have booked a showing so quickly. She came early before the booking, saw how it looked, tidied up and made it presentable. She went above and beyond my expectations. I'd recommend her to anyone." "Heather is a great agent for a first time homebuyer. She walked us through the process and never made us feel like we were asking stupid questions, even though I'm sure we were. She is also dedicated to her clients between deals. She has helped us over the years with referrals for contractors and maintenance, and is always available to quickly chat about the state of the market and potential opportunities." "Heather helped me in the purchase of my home last year. She was wonderful. There were a lot of offers, she read the situation well and was able to advise me carefully. She did well with the negotiations, and she was always available for questions and concerns on my end. She has also helped with a rental property in the past. She does a nice job and is certainly someone that is an advantage to have on your side." ""Heather is amazing! She will do everything to help and make the process so easy as well as finding you the ideal home!! Thank you so much Heather!!" Clinton (Lincoln Park)"
""I'd like to thank Heather for the highly professional and personal way in which she assisted us in finding our new home in Chicago. What could have been a complicated process in light of the fact we were relocating from Asia and new to the US was made incredibly simple. I'd certainly recommend Heather to others who need a real estate specialist and particularly to those coming to Chicago from far and wide." Rob (Edgewater)"
""Heather was great to work with. She made the whole process of selling my condo really painless and stress free, and I got the price I was looking for." Bruce (Edgewater)"
""Heather is incredibly organized and energetic about everything she does. She was very honest and patient with us through the whole selling and buying process and kept us at ease throughout the experience. It was an absolute pleasure to have her on our side and she sold our condo super fast and over asking price! I could not imagine navigating this process without her. An all around amazing partner to have in your corner." Kelli (Mayfair)"
""Highest possible recommendation! Great advice and preparations led to a smooth sale and a home search where our needs were met every step of the way." Mark (Mayfair)"
""Fantastic service and support throughout the whole process from Heather and her team . Excellent market knowledge that added value to the transaction." Juan (Lincoln Park)"
""Heather was wonderful! As a first time homebuyer, I could not have asked for a better broker to walk me through the process." Tara (Lakeview)"
""Heather is fantastic. Her attention to detail and market insights make her the best agent you can ask for." Chris (Wicker Park)"
""Heather has been my realtor since I moved to Chicago 10 years ago, and she has helped me with three moves, the most recent of which was my first-ever home purchase. Heather has a keen attention to detail and maintains steady and clear communication throughout the entire purchase process. There were issues that arose during my purchase, all of which were attributable to the seller/seller's realtor; Heather helped me navigate these challenges and was an effective liaison between me and the seller. Heather is always available by phone, and she returns messages very quickly. She's an invaluable asset during an inspection, as she picks up on issues that even professional inspectors miss. I would highly recommend Heather as a Chicagoland realtor." Heather (Wicker Park)"
""Heather is the best. She is always at the top of her game. She communicates with her clients, gives updates frequently and is always available for questions. She is a genuinely nice person and cares about giving top notch service. I would recommend her to any of my friends or family looking to sell a home." Brady (Lakeview)"
""Heather is an excellent agent. She was there for me and my boyfriend day and night throughout the whole process. We really appreciated her knowledge and guidance each step of the way. Definitely recommend!" Jordan (Lincoln Park)"
""Heather was amazing. From the first meeting she was open, informative and made the process really clea. She was there for us every step of the way, so quick with arranging viewings and prompt on responses. We would not have had such an easy process of it weren't for Heather, she's absolutely amazing." Stephanie (Buena Park)"
""Our broker was wonderful. She was warm and professional and had great knowledge of the process and a great common sense way of looking at things. She protected us in the process since we were complete newbies. She was patient and stayed with us throughout the whole 16 month time we were looking. She was never too pushy or too distant. I would (and already have) recommend her to any and all new buyers." Josh (Tri-Taylor)"
""Heather is phenomenal. She is patient, kind, and explains things clearly. I highly recommend her." Stephanie (Ukranian Village)"
""Heather was outstanding---from beginning to end, she was able to navigate me on the intricacies of first-time apartment buying. She was definitely there every step of the way and I felt less overwhelmed with her by my side. Highly recommend her!" (South Loop)"
Just closed on my first home and could not be happier with her services! If youre looking for an agent thats knowledgeable, responsive and someone to go to bat for you Shes your girl. She helped me get a great deal during the negotiations and my transaction was seamless all the way to the closing table. Ill be sure to send anyone I know looking to buy a home her way!" Tim (Lincoln Park)"
""Heather Seidelman was excellent." Maureen (Lincoln Square)"
""Heather was really wonderful to work with. Being that this was my first time going through the home buying process, she took the time to walk me through what seems to be a really crazy process, and made it really simple. She took the time to listen to what I wanted in a property and focused on showing me properties she though I would like, not just properties she wanted to sell. I am passing her information to all of my friends who are entering the market, and I highly recommend her to everyone." Adam (Lakeview)"
""Working with Heather was great. She was completely on the ball throughout the entire process of selling my condo. I was impressed from the beginning... when most other agents show up for the interview on day one, they had comparables already prepared without seeing the unit for. Heather uses a slightly different approach in which she actually wanted to see the unit prior to discussing pricing and comparables. This approach to due diligence was one of the reasons I chose to work with her and her team. While the unit was for sale Heather kept me very informed of the showing schedule, viewer feedback, and was completely available anytime I had a question about the process. She was extremely flexible in working around my renters who occupied the unit as we attempted to sell. Heather was also very proactive in reaching out to other agents looking for leads on prospective buyers as other area properties sold. Most importantly, working we Heather we were able to sell the unit for asking price! I attribute this to Heathers approach to pricing, showing, and selling the unit. I'd recommend Heather to anyone I know. Thanks again!" Robert (Noble Square)"
""Heather has a very keen understanding of what someone is looking for in a new home. I was amazed at how quickly she was able to assess the kind of place I'd like to live in, and from literally hundreds of properties, distilled the list down to what would have been my top 5. And even as particular as I am, she was able to make the very first stop on our route the home I chose. With just one meeting, her professionalism, likeability, honesty and intuition will win you over." Steve (Lakeview)"
""Heather knows the Chicago market,does her research and provides great feedback throughout the process. After meeting with her and developing our wish list, Heather provided us a great sample of properties to view. She expanded the selection beyond our intial list to be sure we saw a good variety to help refine the style, features and location of our search. This greatly helped narrow our focus and ultimately led to the purchase of our home. We enjoyed working with Heather as she was attentive and responsive to our needs and always greeted us with a smile." Bob (Streeterville)"
""I was a first time home buyer and Heather made the process fun, smooth and easy. I always felt very well informed about each unit we saw. Aside from pointing out the positives in each unit, she also brought to my attention any areas she thought might be concerns. Being new to home ownership I was grateful to have someone with experience to know to look for these issues. Heather was very accommodating to my schedule and always prompt in getting back to my calls or emails. I couldn't have asked for a better realtor and would refer her to anyone looking for a new home." Jessica (Ukranian Village)"
"Heather knows the Chicago market,does her research and provides great feedback throughout the process. After meeting with her and developing our wish list, Heather provided us a great sample of properties to view. She expanded the selection beyond our intial list to be sure we saw a good variety to help refine the style, features and location of our search. This greatly helped narrow our focus and ultimately led to the purchase of our home. We enjoyed working with Heather as she was attentive and responsive to our needs and always greeted us with a smile." "In an ever-changing real estate landscape, Heather and Jeff are always in your corner. Their expertise and patience in dealing with the complexities of a deal surpassed all of my expectations. I would not have been able to move my unit at the price with their help." "Heather and Jeff are both extremely professional and they both made the sale of my condominium very easy. They both promptly returned my phone calls or emails and provided me with any information I required. I would highly reccommend them to my friends, should they need a realtor in the city." "Heather did an excellent job of finding the property we desired. She communicated clearly and effectively."